Under Wisconsin law, you have 20 years to try to collect past due child support from your ex-spouse. The 20 years begins with the date your youngest child emancipates or reaches the age of majority, not the date of your decree. Therefore, if your youngest child was three at the time the court issued your child support order, you can attempt to enforce the order for about 35 years: from the age of three until majority, then an additional 20 years beyond that. Wisconsin does not want you to have to wait 20 years past your youngest child's emancipation to collect the support owed to you. As soon as your ex-spouse is a month or $500 behind – whichever amounts to more arrears – the BCS will list him with the state's support lien docket, and the DWD will place a lien against his property. If his delinquency reaches $1,000 or three months past due, whichever is more, the DWD will use the lien to seize his bank accounts, real or personal property, and even pension payments. It will suspend his professional, recreational and driver's licenses. In cooperation with the federal government, the DWD can also intercept your ex's tax refund. If you take your ex-spouse back to family court for enforcement, the court can hold him in contempt and order him to jail for not paying support. The judge will typically set a purge condition first, allowing him to pay a certain percentage to avoid incarceration. It’s also a criminal offense in Wisconsin to knowingly and willfully refuse to pay child support. If you file a complaint against him with your county district attorney, the DA can level these charges after confirming your allegations with the BCS. Refusal to pay for more than 120 days is a Class I felony; up to 120 days is a Class I misdemeanor. The felony charge carries a possible penalty of 42 months in prison, fine up to $10,000, or both. 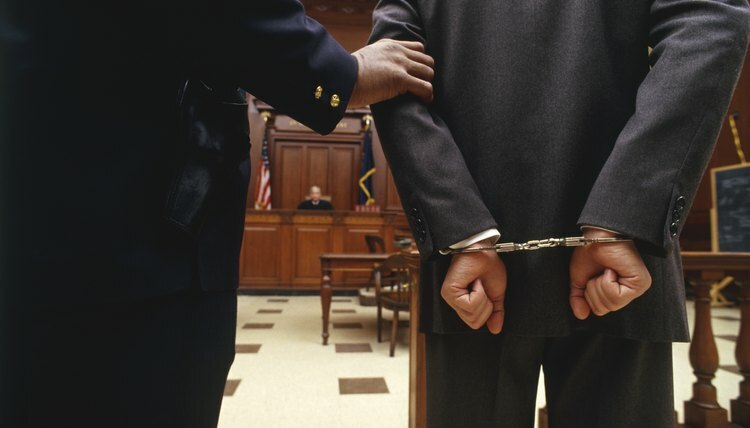 A misdemeanor charge risks the same fine, nine months in jail, or both. These penalties can run consecutively. For example, if your ex is in arrears for 240 days or eight months, this could result in two felony charges for 120 days each, and the penalties are applicable to each charge. Wisconsin's age of emancipation is either 18 or 19, depending on whether your child is attending school with the goal of achieving a high school diploma at the time of his eighteenth birthday. If he is, support continues to be payable until his nineteenth birthday. The emancipation of each of your children terminates your ex-spouse's current child support obligation for that child, so current payments won't continue to accrue past this date. However, Wisconsin charges interest on child support arrears, payable to the custodial parent when the state collects. Interest on your ex's arrears will therefore continue to add to the balance until he pays them, or until the 20-year statute of limitations expires. Wisconsin charges child support interest at the rate of one percent a month, or 12 percent a year.